Parents should take steps to make sure that fifth grade is a successful year for children because this typically marks the last grade students will spend in elementary school. Fifth-graders may already have their sights set on middle school. They may have different teachers for each subject for the first time and be expected to take more responsibility for organization and long-term planning. Prepare children for fifth grade with these tips on dealing with school refusal. What You Can Expect in Fifth Grade: Here's a brief overview of what to expect during your child's fifth-grade year. What Do Kids Learn in Fifth Grade? : In fifth grade, kids are saying goodbye to elementary school and preparing for middle school, meaning it's a year for them to learn how to put all the academic pieces together. Signs of Learning Challenges in Fifth Grade: Signs of trouble in fifth grade often revolve around goal-setting and peer relationships. A Fifth Grade Reading List — Books for Students Entering Fifth Grade: Your soon-to-be fifth grader is ready to move on to more thought-provoking books, books that ask her to read below the surface and comprehend themes instead of just the words on the page. This fifth-grade reading list contains a number of Newberry Medal-winning books with challenging themes as well as a few anthologies for the reader who doesn't want all of her reading in one long book. 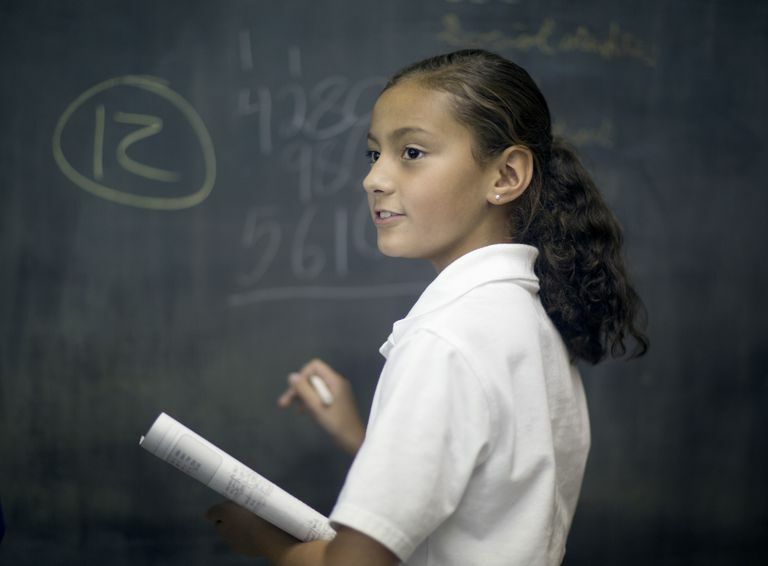 Help With Math — The Forgiving Method of Long Division: Long division has proven challenging for many students, as it relies on a superb recall of multiplication facts and a good instinctual number sense. Many teachers are using a new technique known as the Forgiving Method of Long Division for fifth-grade students. 15 Questions to Ask Your Child About School: We all know the drill. You pick up your child from school or reconnect with him at the end of the day and ask: "How was school today?" The answer to this question is almost invariably, "Fine" or "Good," neither of which open up the line of communication you'd like. So which questions should parents ask instead? Defining Zero Tolerance in Schools: This year your child is starting to understand the consequences of bullying behaviors. Due to Zero Tolerance policies, those consequences can be severe. For a number of reasons, however, these policies can do more harm than good. When Your Child Refuses to Go to School — Dealing With School Refusal: Some estimates indicate that up to 20 percent of children show signs of school refusal during their school career. Dealing with school refusal relies on understanding what's behind it and working with a team of professionals to help your child through this tough time. Also, consider clinical child psychologist Christopher Kearney's take on school refusal.